Did you know California is the largest garlic producing state in the country? Christopher Ranch, the family-owned garlic company, has been a part of the garlic festival since it was founded in 1979. The company is best known for producing 50 percent of the nation’s garlic crop, and this year it expects to produce 100 million pounds of garlic. As a tradition, Christopher Ranch donates 2 tons of garlic to the festival every year. The festival will be celebrating its 40th anniversary this year, and thousands of people are expected to join in the fun, with special appearances from Iron Chef Michael Symon, Olympic Champion Brian Boitano and Master Chef Winner Shaun O'Neale. 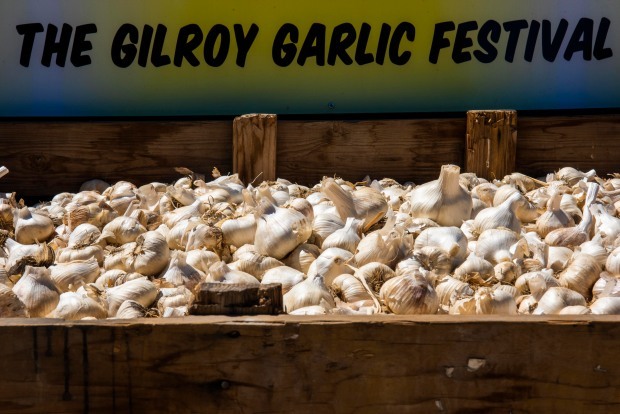 Check out the Gilroy Garlic Festival website for tickets and information.